Ninja is one half of the South African rap-rave group Die Antwoord. Together with Yolandi Visser, they mix modern with outdated in both their music and their fashion, to create their own... unique style. Formed in the 1980s, Run-D.M.C. is one of the most influential hip hop groups, being the first of the genre to earn a platinum release on their album. 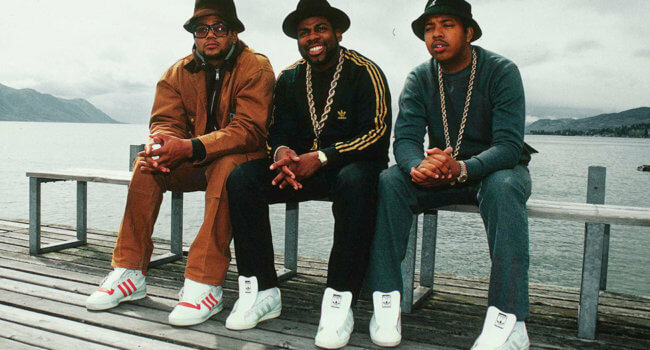 The rap group consists of Run, DMC, and Jam Master Jay who got the shaft when it came to naming the group. 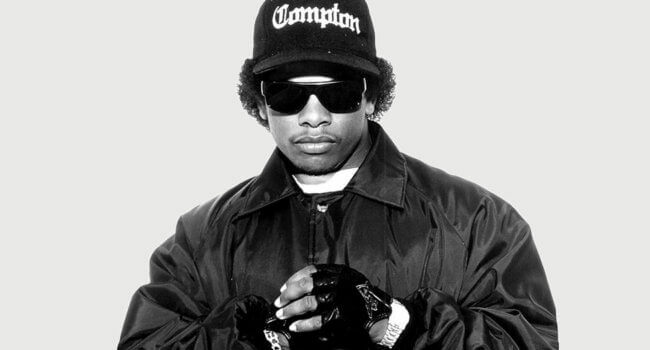 Eric Lynn Wright is Eazy-E, a member of the rap group NWA straight outta Compton and known as the Godfather of Gangsta Rap. He’s also known for his beef with mate Dr. Dre and producer Suge Knight. 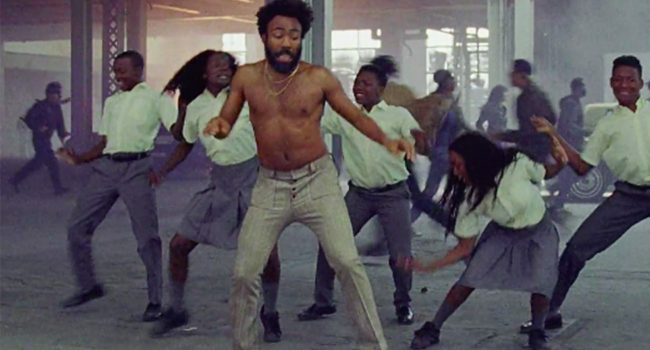 In the music video for “This is America”, Childish Gambino (Donald Glover) raps and dances as an expression of various themes including being black in America, gun violence, and police brutality. 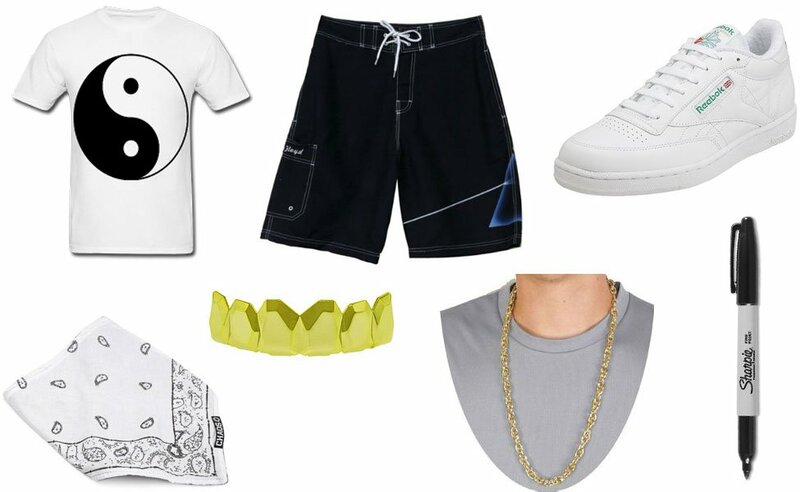 His gold chains are a nod to slavery, his movements to caricatures of Jim Crow, and the yellow shoes, who knows. Sew black buttons on the fly to get the pants matching as close as possible. 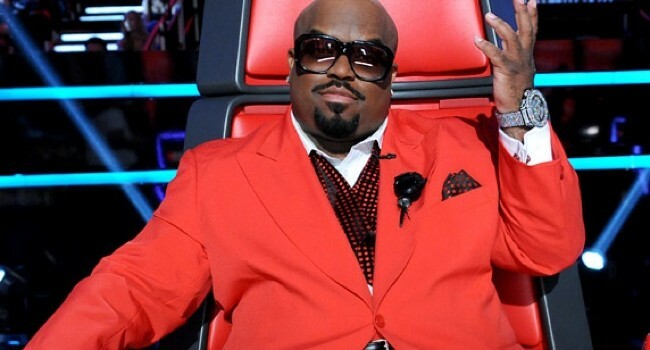 Musician, producer, actor Cee Lo Green turns heads wherever he goes. With his one-of-a-kind wardrobe, he’s certainly not one to shy away from feathers, fur (in the form of a Persian lap cat) or bedazzles. Rapper Macklemore has an interesting fashion sense, favoring a mohawk, furs, and gold in his music video for Thrift Shop. But if you really want to replicate his look, head to the nearest Goodwil and wear whatever you get with the twenty dollars in your pocket. 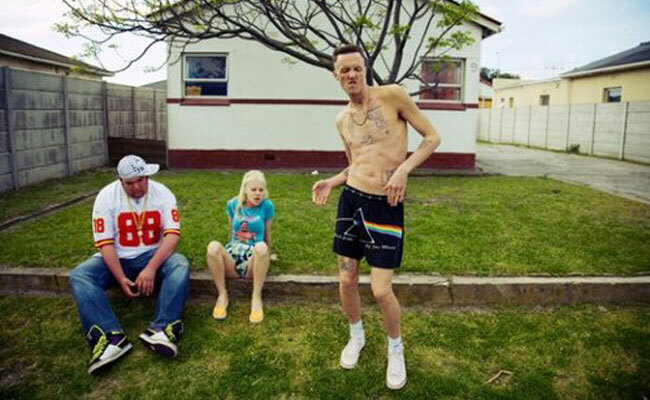 Yolandi Visser, aka Yo-Landi Vi$$er, fronts the South African rap group Die Antwoord with Ninja. Don’t be fooled by the pink and ponytail – her style is equal parts cute and nightmare fuel.